What do you think of this Beach Behemoth? 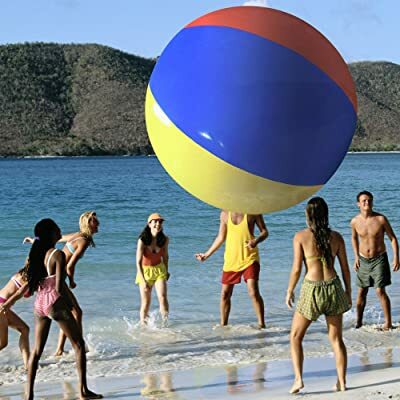 Measuring a ridiculous 12 feet from pole to pole, the Beach Behemoth is the largest beach ball you might ever behold. And despite its gargantuan proportions, it soars through the air and floats on water just like a regular beach ball, only it is much, much gianter. Made of thick, 30mil vinyl, don't be afraid to get a little rough—the Behemoth can handle it. • DURABLE: Made of thick, durable 30mil vinyl with reinforced seams, so play hard!